From the very first week of classes, Beloit College is a place that challenges students to think beyond the “Beloit bubble” and to recognize their civic responsibility as individual members of a local, national, and global community. Fourteen percent of Beloit’s student body is in fact from around the globe, with students coming from more than 40 countries internationally. No matter where students come to campus from, all Beloiters are charged with putting their education into practice and approaching the complex problems of the world ethically and thoughtfully. Guided by this mission, the college has a robust history of producing leaders who work to promote systemic change—in academia, industry, government, and nonprofit work. Beloit is one of few private liberal arts institutions with the McNair Scholars Program, a program that works to increase the number of low-income, first generation, and underrepresented minority students in Ph.D. programs. Established in 1999, the Weissberg Program in Human Rights is a unique program that enables students to pursue academic and experiential learning opportunities that will help them to become informed, effective human rights activists—during their time at Beloit and beyond. 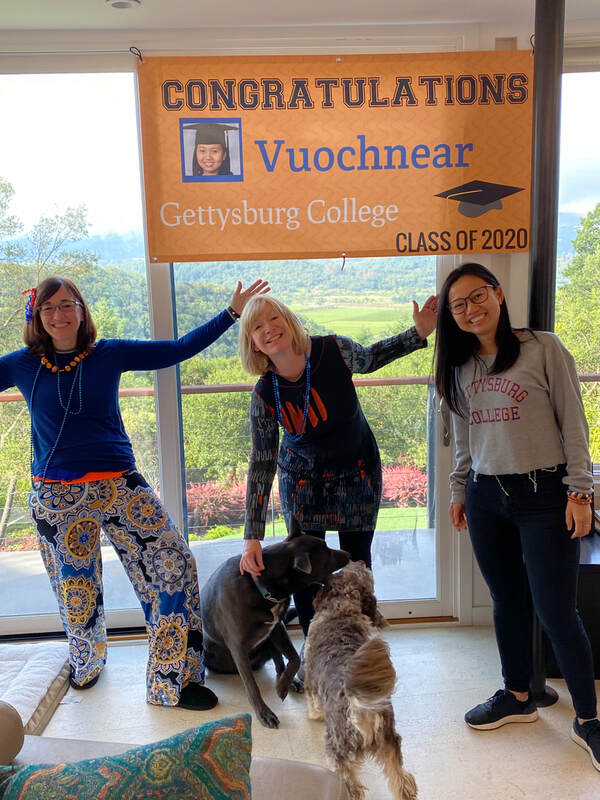 As Weissberg Fellows, SHE-CAN scholars are financially supported through program grants and scholarships through the Liberal Arts in Practice Center. In partnership with SHE-CAN’s mission to transform young women into confident leaders and changemakers, Beloit can further support young women who choose to utilize their time and talents to do remarkable things in the world. We are excited to announce the addition of Beloit College to the SHE-CAN Coalition for 2017. Known for developing leaders and change makers, this school perfectly aligns with SHE-CAN's mission. In Loren Pope's book, Colleges That Change Lives, it is stated that Beloit “out-produces very selective schools in graduates who make significant contributions and achievements.” Because building female leadership is our mission, we believe that together we can nurture a steady stream of female leaders destined to alter history. We hope this is the beginning of a long-lasting relationship with this dynamic, liberal arts school.